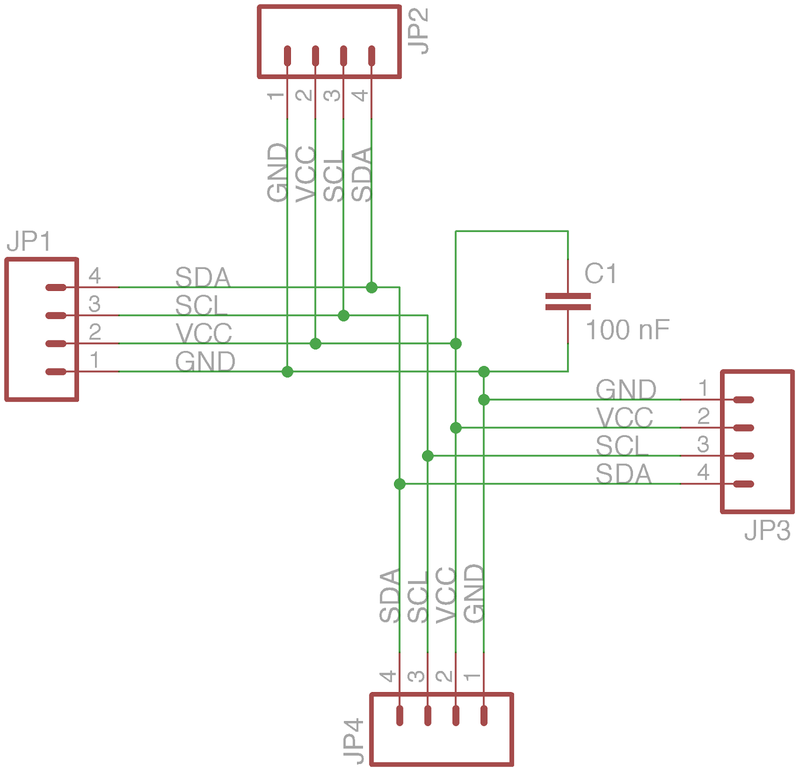 One of a series of modular expansion boards for the I2C bus: a 1-3 splitter for branching I2C signals. 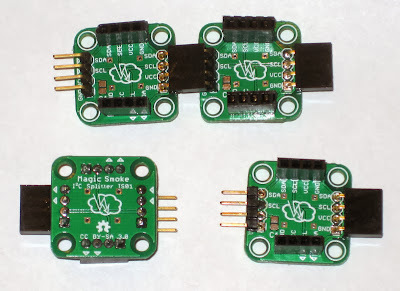 This is the first of a series of boards with compatible headers for modular expansion to the I2C bus. 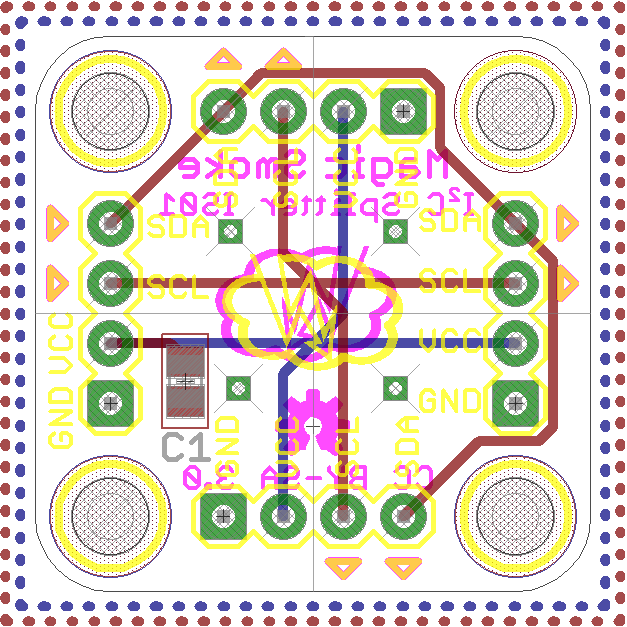 The boards all have the same shape and dimensions, 0.925" square with radiused corners and 1/8" standoff holes. 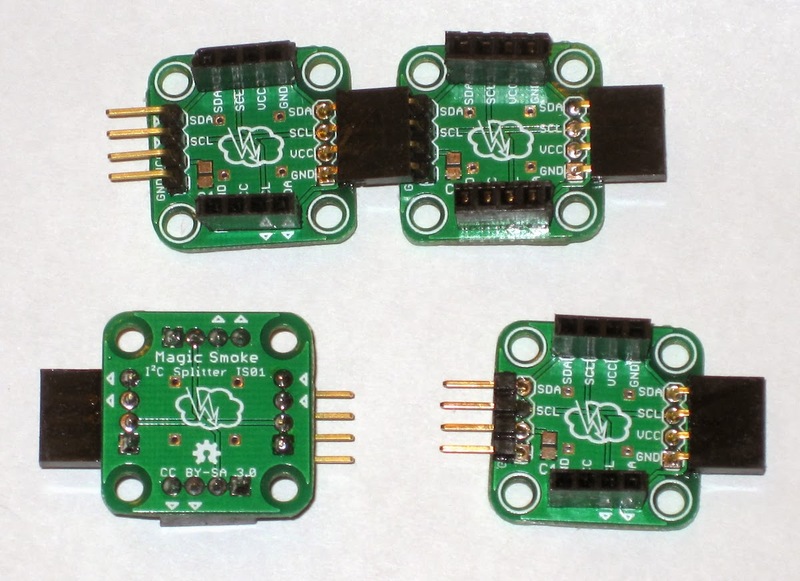 All can be used with polarized or unpolarized headers that can be soldered on either side of the board. This one is a simple 1-3 splitter with 0805 pad for an optional capacitor. 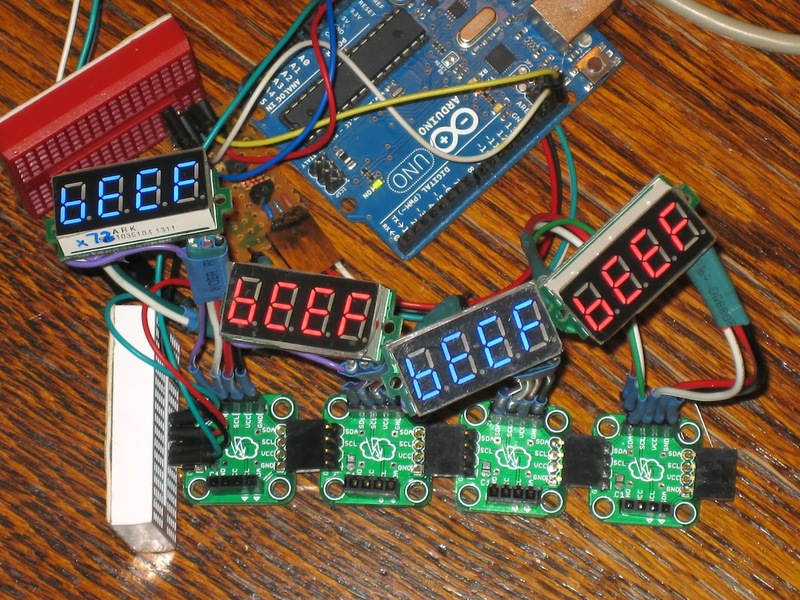 The picture above shows a chain of splitters joining hacked voltmeter displays to the I2C bus of an Arduino Uno. The Eagle design files are available from Github. Very nice design, I appreciate how modular they are. Thanks Gunther - that's nice to hear. Nice. Have you tried moving the headers closer together to that they are flush with each other? Might give it better support. Also you could add optional pads for pull-ups. It took a few tries to get them flash when linked. 2 pretty good suggestions I reckon! I couldn't find your email. Send me an email, you can find it on my blog under contributors.